This Essay also appears in Volume XXV: The Education of the Child as Lecture 1, but is reviewed separately here because the XXV review was written early in my study of Steiner's complete works on Education. 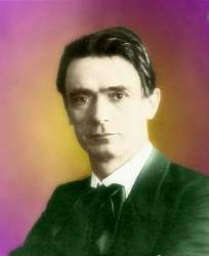 The Essay is a rare example of a lecture Steiner had given in various places in Germany which, after many requests to do so, he re-cast in the form of an Essay so that it would be available in printed form. 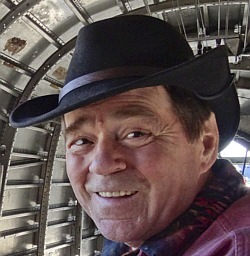 Steiner says in many lectures that a true teacher educates the child to become a fully functioning adult. The teacher rarely gets to see how their work informs the adult which they taught as a young child. The future of the child is hidden in its depths like the flowers hidden in a growing plant. We may have seen the flowering of a plant before, but no teacher has seen the flowering of the child they have before them in class. Steiner writes, "Human life is present only once; the flowers it will bear in the future have never yet been there." (Page 8) He understands the deep relationship between humans and plants. [page 8] Life in its entirety is like a plant. The plant contains not only what it offers to external life; it also holds a future state within its hidden depths. One who has before him a plant only just in leaf, knows very well that after some time there will be flowers and fruit also on the leaf-bearing stem. In its hidden depths the plant already contains the flowers and fruit in embryo; yet by mere investigation of what the plant now offers to external vision, how should one ever tell what these new organs will look like? This can only be told by one who has learnt to know the very nature and being of the plant. By mere inspection of the child a teacher has present in a class, the teacher cannot see the destiny of the child which lies within it, but, like the plant, there are hidden flowers to be revealed that are unique to each child. Flowers are unique to each species of plant, but each child is a species unique unto itself. This is one of the things which makes humans more complex than plants. The flowers present in each human being have never been present before, and the teacher's job is to allow each child to bloom in its own unique fashion. A true teacher does not invent educational schemes, but instead reads what is present in each child and assists in its development. To do so, a teacher must learn the nature of each growing child, and proceed according to its needs at each stage of growth. To our sensory observation, only the physical body is accessible. Materialistic observers are completely blind to anything that is not part of the mineral kingdom. To spiritual scientists (anthroposophists), humans have etheric bodies in common with plants and astral bodies in common with animals. In the growing child, one can observe how these bodies are revealed and help shape them as they develop, but one must understand how the etheric and astral bodies operate inside living beings, even inside materialists who are oblivious to the existence of these supersensible bodies. While blithely unaware of the etheric and astral bodies inside their physical bodies, they are dependent upon them every minute of their life. [page 14] Man has this etheric or life-body in common with the plants and animals. The life-body works in a formative way upon the substances and forces of the physical body, thus bringing about the phenomena of growth, reproduction, and inner movement of the saps and fluids. It is therefore the builder and molder of the physical body, its inhabitant and architect. The physical body may even be spoken of as an image or expression of the life-body. [page 14, 15] The third member of the human body is what is called the Sentient or Astral Body. It is the vehicle of pain and pleasure, of impulse, craving, passion, and the like — all of which are absent in a creature consisting only of physical and etheric bodies. These things may all be included in the term: sentient feeling or sensation. The plant has no sensation. If in our time some learned men, seeing that plants will respond by movement or in some other way to external stimulus, conclude that plants have a certain power of sensation, they only show their ignorance of what sensation is. The point is not whether the creature responds to an external stimulus, but whether the stimulus is reflected in an inner process — as pain or pleasure, impulse, desire, or the like. Unless we held fast to this criterion, we should be justified in saying that blue litmus-paper has a sensation of certain substances, because it turns red by contact with them. The fourth body is the I body or Ego body. The word I is the only word that can be used to name oneself and not someone else. The use of this word is a faculty that only appears in the human being, not in animals or plants. "With the I, the God, who in lower creatures reveals himself only externally in the phenomena of the surrounding world, begins to speak internally." In the time of Exodus, the people in desert said, "Jahweh is angry" in response to the storm, the fire, and the darkness which beset them. When Moses received the stone tablets, he wanted to tell his people who gave him the tablets. He received this response, "Tell them the 'I Am' sent you." People of that time worshiped the 'Great I Am' and only over succeeding generations began to refer to themselves individually as "I". Our present-day ability to call ourselves "I" comes from the fourth body of the human being, the Ego body or "I". The working of this I on the other three bodies of each human being is the basis for the growth and development of the single individual as well as all of the civilization and culture in which that person lives. It is the working of the I body on the other three lower bodies that forms the basis of the life-long education and contributes to the growth of civilization and culture. One of the principle activities that must begin in childhood is to be exposed to reading and studying of subjects that are beyond one’s current understanding(1). Each of our bodies has a sheath enclosing it, just as the baby in the womb has its mother's body as a sheath enclosing its physical body. Outside the womb after birth, the etheric body is enclosed by a sheath until the time of teeth change around seven years old. The astral body is covered by a sheath until the time of puberty around fourteen years old. Steiner recommends that memory training not proceed until teeth change. [page 23] . . . external education must not endeavor to effect a training, or influence the molding, of the memory before the change of teeth. If, however, we simply give it nourishment and do not try as yet to develop it by external measure, we shall see how the memory unfolds in this period, freely of its own accord. A similar process is important for the qualities of the astral body: one must avoid premature development there as well. [page 23] Before the age of puberty one must supply it with nourishment, always bearing in mind, however, that the astral body, as explained above, still lies beneath a protecting envelope. It is one thing before puberty to nurture the seeds of development already inherent in the astral body; it is another thing after puberty to expose the now independent astral body to those influences in the outer world which it can receive and work upon, unprotected by the surrounding envelope. The distinction is certainly a subtle one; but without entering into it one cannot understand what education really is. In practical matters, one should not encourage rote memory exercises for under age seven children, and one should not discuss the pollination of flowers to produce fruit in science classes until the children reach puberty. On page 26 Steiner writes, "We can never repair what we have neglected as educators in the first seven years." He is talking not only to teachers but also to the parents and various care-givers a child is exposed to. Any negative feelings that a child is exposed to during this period will be stored as a bodily state or doyle and these doyles can be removed from a child by the proper attention. Later, as an adult, any leftover doyles from childhood can be removed by a Speed Trace(2). Everything which a teacher, parent, or caregiver feels when interacting with a young child will fly from their soul into the child's soul on the wings of words. No matter what the teacher is reading, it is the teacher's own soul feeling which will enter the child's soul. [page 36] For when one speaks in parable and picture, it is not only what is spoken and shown that works upon the hearer, but a fine spiritual stream passes from the one to the other, from him who gives to him who receives. If he who tells has not himself the warm feeling of belief in his parable, he will make no impression on the other. For real effectiveness, it is essential to believe in one's parables as in absolute realities. We live in a world in which Intellect rules. The Intellect may rule, but it makes a lousy educator of small children! Think about that! [page 38] It is no mere figure of speech to say that man can understand with his feeling, his sentiment, his inner disposition, as well as with his intellect. Intellectual concepts are only one of the means we have to understand the things of this world, and it is only to the materialistic thinker that they appear as the sole means. [page 38, 39] Have no fear of going beyond the childish understanding, even in whole sentences. Your expression and the tone of your voice, aided by the child's intuitive eagerness to understand, will light up half the meaning and with it, in the course of time, the other half. . . . A child of five understands the words "yet," "even," "of course," and "just." But now try to explain these — not just to the child, but to the father! In the one word "of" there lurks a little philosopher! . . . Always speak to a child some years ahead — do not those of genius speak to us centuries ahead in books? Steiner explains that the child carries half of the world within, already filled with moral and spiritual archetypes. Our language, filled with only materialistic images, cannot transmit these archetypes, but can only fill the materialistic images with the light of understanding. (Page 39) The child will receive an understanding of the archetypes — it does not need to grasp the intellectual concepts immediately — but over time its unanswered questions from childhood will bloom into meaning from the roots of its many previously not-understood concepts. [page 47] Whoever applies it correctly, will find that knowledge of anthroposophy proves itself in life by making life strong and healthy. He will see it to be true in that it holds good in life and practice, and in this he will find a proof stronger than all the logical and so-called scientific arguments can afford. Spiritual truths are best recognized in their fruits and not by what is called a proof, be this ever so scientific; such proof can indeed hardly be more than logical thinking. 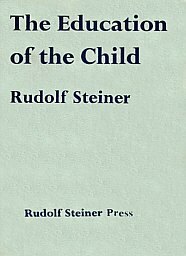 Steiner had already by this time of his life laid down the principles of anthroposophy and was embarking upon making his spiritual science both important and necessary in the education of children, knowing that such children will grow into adults grasping that spirit and soul are equally as important as intellect. He saw a chance to create a mature audience after his lifetime, an audience ready to understand the importance and practicality of his spiritual science, an audience which he had fought so long and hard to locate and create during his lifetime. In my reading of Steiner, I have found this to be always the case. Each set of his lectures introduces me to some new and often mind-boggling concept. See the First Aid for doyle removal on-line by Clicking Here. What is the Power of an Unanswered Question? is Matherne's Rule#25. Click Here. To Obtain your own Copy of this Reviewed Lecture, Click on SteinerBooks Logo below. NOTE: It appears as the First Lecture in the Book below which is Item XXV in the list below the Logo.